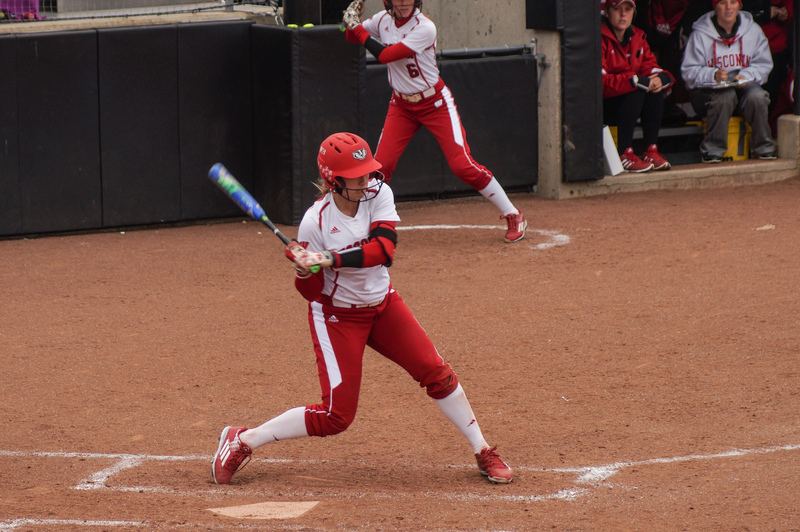 After taking a gut punch at the hands of Nebraska last weekend, the University of Wisconsin Badgers softball team aimed to rebound and capture their first home win of the season as they took on the struggling Iowa Hawkeyes (8-21). The Badgers would take a step in the right direction taking two out of three, including a walk-off win to end the series. 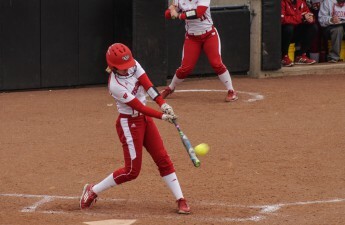 In the series opener, Wisconsin prevailed as they jumped on Hawkeye pitcher Shayla Starkenburg. In the second inning, they tagged Starkenburg for three runs. There was also an RBI double by catcher Taylor Berry, a bases-loaded walk from utility player Kelsey Jenkins and an RBI groundout by utility player Chloe Miller. In the fifth, with the Badgers leading 4-1, catcher Melanie Cross sent the first pitch she saw over the left field fence for a 2-run homer. Miller added a 2-run jack of her own the following inning, increasing the lead to 8-1— the eventual final. Freshman pitcher Kaitlyn Menz picked up the win for Wisconsin, improving to 15-4 on the season. Menz pitched the complete game, allowing only two hits and striking out five batters. In Saturday’s matchup, Iowa had at least one base runner in each of the first four innings with less than two outs. Starting pitcher Kirsten Stevens had been able to wiggle out of trouble until the fifth inning, when an RBI infield single and RBI sacrifice fly increased the Hawkeye lead to 3-1 and a costly error allowed one more run. Wisconsin would not give in. The following inning, with two outs and a runner on second, Jenkins lined a shot to deep left that just cleared the fence for a 2-run opposite field home run, leaving the Badgers down only 4-3. The Badgers did not threaten for the rest of the game, and dropped game two with a final score of 4-3. Stevens was charged with the loss, leaving her with an 8-2 record. The rubber match on Sunday afternoon offered an exciting and lengthy game. The Badgers walked off in the bottom of the 10th inning for a final score of 6-5. In the bottom of the third inning, Wisconsin trailed 1-0 but quickly gained the lead on a 2-run home run by Miller, her seventh on the year. In the fifth inning, RBI hits by Cross and Lombardo increased the Badger lead to 4-1. Wisconsin was six outs away from the win until Iowa came roaring back to tie the game at four on three hit balls that did not leave the infield. Two infield singles and an error mixed with a fielder’s choice helped the Hawkeyes catch up. Trailing 5-4 and down to their last strike in the ninth, with only a runner on first, Lombardo singled to center to extend the game. 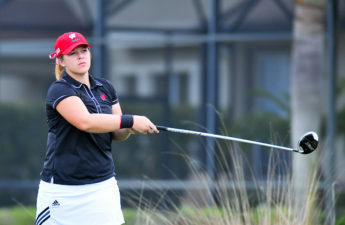 Next up was Gabby Scherle, and it was the Badgers’ turn to have a little luck. Scherle hit into a fielder’s choice but Lombardo was able to beat the throw to second, allowing Little to score the tying run. An error and a walk put the Badgers on first and second with no outs in the bottom of the 10th, bringing Wyderski to the plate. Wyderski sent an 0-2 pitch down the right field line that landed just fair, bringing in Jenkins to seal the walk-off win. Menz picked up the win to improve to 16-4 after going the distance and punching out nine hitters along the way. With the win Wisconsin improved to 25-7 and Iowa dropped to 9-22. 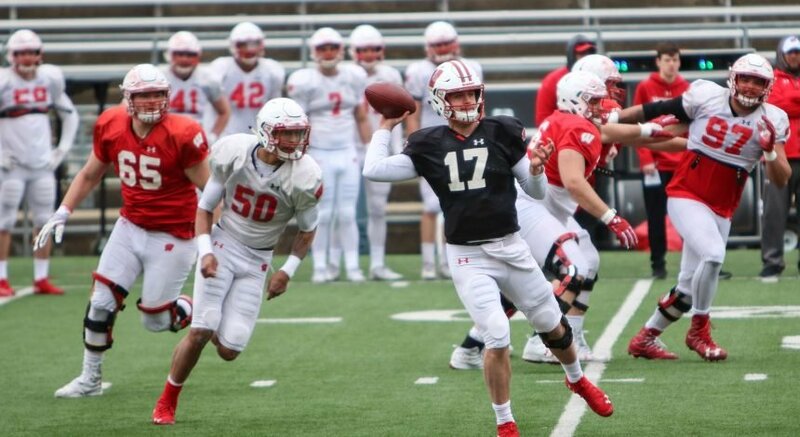 Now the Badgers head to West Lafayette to take on the Purdue Boilermakers (15-26). The opener for the three-game set will be on Friday and a double-header will be played on Saturday.